Will the hard work you have put in at school soon come to fruition? 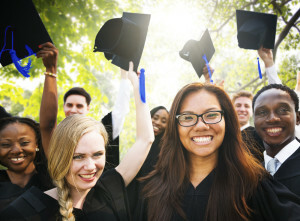 If this spring or summer will mark your well-earned graduation, you may be focused on planning your attire for the celebration, the party after the ceremony, or even your career goals now that school is coming to a close. Have you taken time to consider whether or not your smile is ready, though? Your smile is one of the most important aspects of the first impression you will make on potential bosses and future coworkers, alike. If you want to move forward feeling your best, cosmetic dentistry can help get your smile ready. Cosmetic bonding and contouring are two of the fastest ways to address imperfections of the teeth, so that you can smile confidently, in very little time. Since these procedures are affordable, as well as fast, they make great cosmetic options for those still on a college-student budget. How Can Bonding and/or Contouring Help Improve Your Smile? While you might have thought expensive and lengthy orthodontic treatment is the only effective way to cope with misaligned teeth, cosmetic bonding can sometimes be an effective alternative. 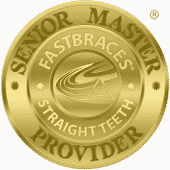 Bonding is considerably less expensive and faster to complete than orthodontia. While bonding cannot address functional alignment issues, it can effectively hide minor gaps between the teeth, leading to a more beautiful and symmetrical smile. Contouring can also help address minor alignment issues, like overlapping of the teeth. By filing away portions of the teeth that overlap, a dentist can help improve the overall appearance of the smile quickly. Bonding can also hide permanent or intrinsic staining, teeth whitening will not be able to address. If you have a few misshapen or disproportionately small teeth, bonding can help make them appear more in-line with the rest of your smile. The initial results of bonding are similar to those with porcelain veneers. However, because bonding relies on a composite resin material instead of porcelain, the results may not be as long-lasting. Resin is not as stain-resistance as porcelain, for instance, which is why it is not an ideal treatment for smokers or heavy red wine or coffee drinkers, for instance.